All of them. That's how many of these sales skills you should master if you want to be a social selling superstar. It takes a well-rounded salesperson to consistently find the right prospects and navigate all of the involved stakeholders toward a successful conclusion. So what are these sales skills? Your prospect can learn about you, your company and the competitive landscape in a matter of minutes. To separate yourself from other sales reps, and to provide the type of value your prospects seek, you need to be able to gain in-depth knowledge regarding your prospects – much more than they can learn about you with a few clicks of a mouse. Who and what do I have in common with this prospect? How are the people attending the meeting connected with each other? Did this prospect work at a company that I helped or have been involved in helping in the past? Who is recommending this person or who are they recommending? At the very moment they meet you, your prospect is already evaluating whether or not it’s worth their time to do business with you. While the “gift of gab” comes more naturally to some of us, there’s no replacing an attitude of service. There’s no substitute for caring or trying your best to help. One surefire way to always appear personable is to make it apparent that you care more about the person you’re working with than you do yourself. These next two sales skills will certainly help. Asking the right questions, in the right context, is how the savvy sales pros learn what prospects really want. Asking thought out, researched questions is also another way to build rapport with your prospect. If you can’t discover needs, you can’t satisfy them. And if you can’t satisfy needs, you can’t win the sale. Listening to truly understand vs. waiting to talk is a sales skill separates the trusted advisors from the sales reps. There are plenty of tips for improving listening skills, but at its most basic level, good listening is about clearing your mind of any pre-conceived assumptions, dropping the agenda and becoming engrossed in the conversation. The average enterprise-level sale involves multiple meetings, which is why the ability to properly plan and execute meetings is a sales skill that cannot be ignored. A great meeting starts with a clear agenda, continues with a leader (you) who keeps the conversation on track and ends with a commitment from the prospect that advances the sales process to the next step. The salesperson’s planning and attention to detail is what often determines whether meetings are successful. Whether you’re presenting a final solution or are just getting started with sales lead generation, leading with insights is a surefire way to get your prospect tuned into the conversation. Building relationships is all about give and take. And if you’re in sales, you must give far more than you take – that’s just the way it works. Yes, building a large network is important. It’s the depth and quality of the relationships within your network, though, that determines the true value of your network. So focus on developing quality individual relationships – and use LinkedIn Maps to help you determine the people you should be focusing on – and eventually you’ll have a network of customers who consider you a valuable business partner, recommending you without hesitation. For most sales pros, going for the “close” can be detrimental, but so can completely avoiding it. If you’ve done everything right – and you’re confident there’s nothing left to prove – by all means ask for the sale. Sure, sales managers don’t teach the ‘art of closing’ as a selling skill like they once did, but it’s still vital that you actually ask for the sale when it makes sense. An insurance agent who knew Henry Ford for many years once asked Ford why he never did business with him. “You never asked,” said Ford. Some might argue that persistence is a trait, and to some degree it is. But the reason it’s also a skill is because you can improve persistence – you can teach yourself how to become more persistent. Whether it’s identifying your purpose, determining action steps, maintaining a positive attitude, surrounding yourself with success or developing systems to ensure discipline, persistence is a selling skill anyone can become better at. If you’re struggling to make sales, don’t simply say ‘I’m struggling.’ Doing so implies you are broken, and that’s just not the case. Instead, take time to pinpoint the area(s) where you are losing control of the sales process. Now it’s just a matter of developing the right sales skills. 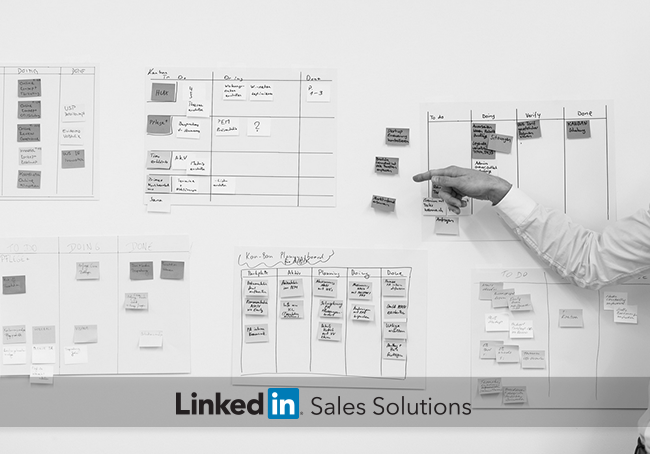 Keep the learning going and discover more tips for improving your sales strategy.